Salted Caramel S’mores | The amazingness of s’mores with the added bonus of salted caramel, so irresistible! It’s here! It’s finally here! S’mores Week is here! I’m so excited! One of the great things about being a blogger is seeing all the amazing things that my friends come up with all the time. This was especially true as the organizer of S’mores Week! 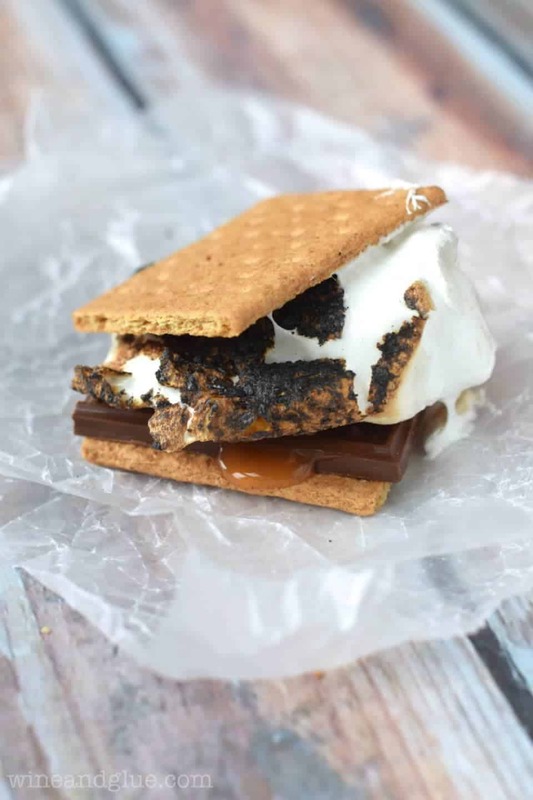 My friends and I have joined forces to bring you a whole week of s’mores recipes, and let me tell you, the talent is oozing out all over the place this week. 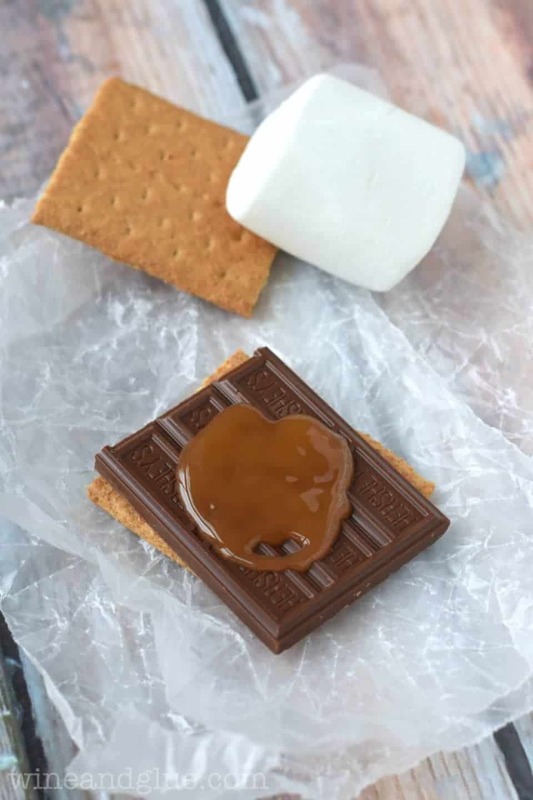 Once you are done reading about these delicious Salted Caramel S’mores, make sure you scroll to the bottom of the post to see all the other delicious smorsey goodness posted today. Then come back to all our blogs on Wednesday and Friday for MORE. So my first post for S’mores Week is a simple one but a good one. I’m pretty sure I’m never going to eat a regular old boring s’mores again. You start off with the go to s’mores ingredients. Chocolate, graham crackers, and a whopping giant marshmallow. Then you add some caramel sauce (I used the Smuckers ice cream topping variety). Throw on a pinch of kosher salt. And then you top it all off with your giant toasted marshmallow for melty chocolatey salty caramelly deliciousness! I’m loving s’mores week already! Love the salted caramel twist. I need to try doing this right now! What a fabulous idea! Such an easy and unexpected twist! I think you’re totally right, no one will want to eat a regular S’more again! Love this new twist on a classic!! 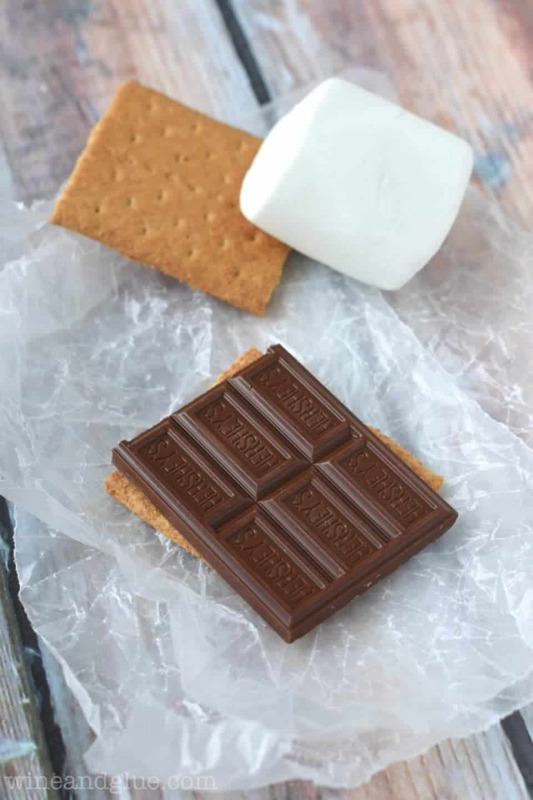 I can’t wait to see all the other goodies you have planned for #smoreweek. Thanks again for organizing all the fun! 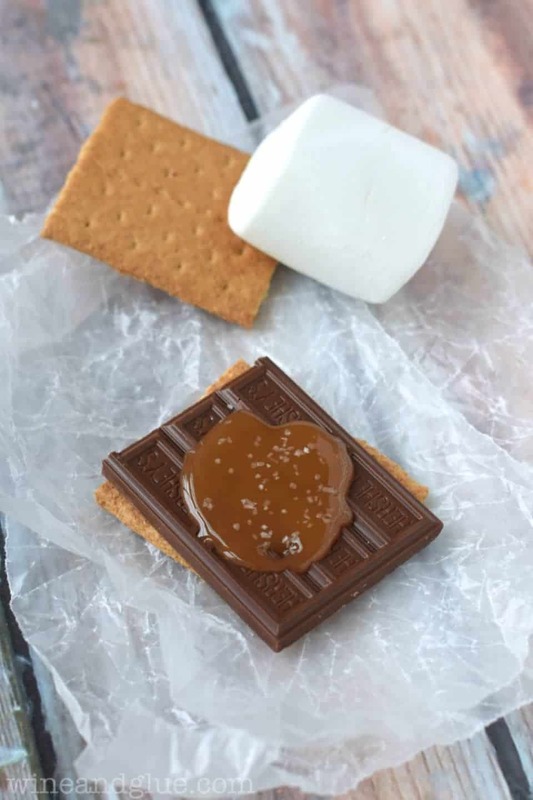 When we went camping a few weeks ago, I bought some caramel filled chocolate for my S’mores, what a game changer! Love! These sound sinfully delicious! Combining all the best of s’mores with salted caramel! 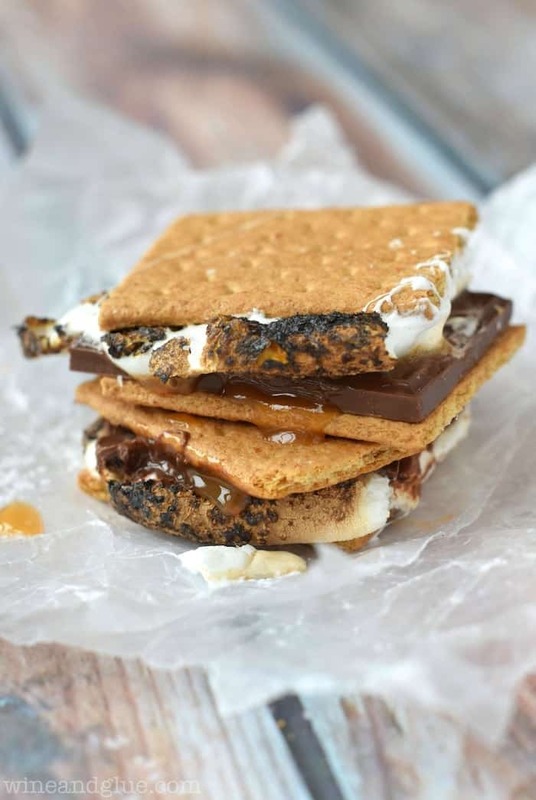 I will be checking out all the s’mores recipes and posts! this may be the best s’more ever! Thanks so much for organizing Lisa! What an awesome idea to add the caramel – yum! One of my favorite things! Thank you for s’more week!! I am doing a very casual backyard wedding next year and I am in love with the idea of having guests make there own s’mores. Now I have lots of yummy ideas!! surprisingly ive never had smores before.. i know im definitely missing out on something great, you’ve inspired me to go and create some smores now. love it! Ohhh, I love this addition!! Salted caramel is pretty much heaven-sent! I am so bummed I couldn’t participate in s’mores week, but I’m so excited to see all the fun recipes!!!! LOVE these. I need a Salted Caramel IV. Salted caramel makes everything so decadent! Can’t wait to try!